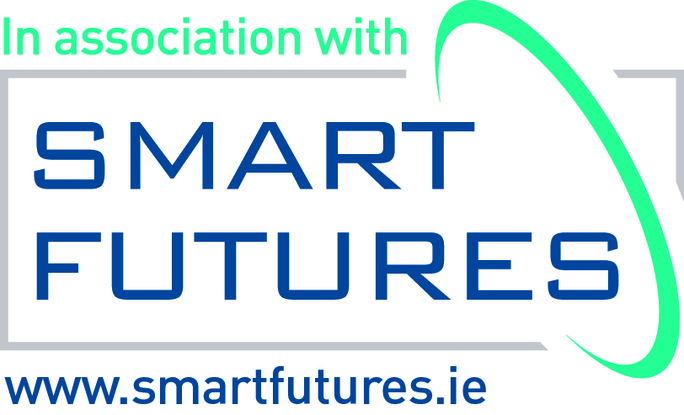 Day 7 – The first ever I’m a Scientist Ireland evictions! 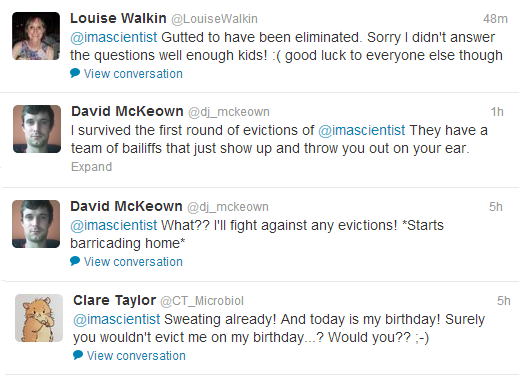 So today we had our first evictions, sad to say goodbye, but only one scientist can win in each zone! We said goodbye to Eugene in Space, Kate in Health and Naomi in Hydrogen, they all did well, but only one scientist can win each zone. The stages of.. I'm a Scientist? Tomorrow we have to say goodbye to 3 more scientists, make sure you vote for your favourite scientist to win.. I haven’t voted, because I’m not allowed.. But if I could, I would do it immediately. There are loads more live chats booked for next week, all of which you can watch live, if you’re not already taking part!